LLITP Segment African American History, Birthdays, and Notable Achievements presented by Rodney Williams, who is an educator and social activist. He is one of the founding members of the Black Panther Party for self defense out of Oakland CA. 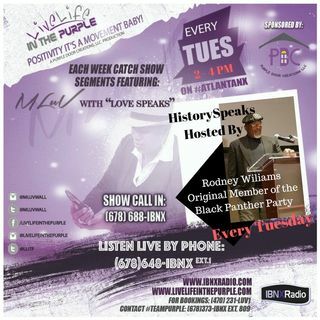 Listen and learn about African American History as Rodney tells it “If you don’t know where you came from - you won’t know where you’re going."